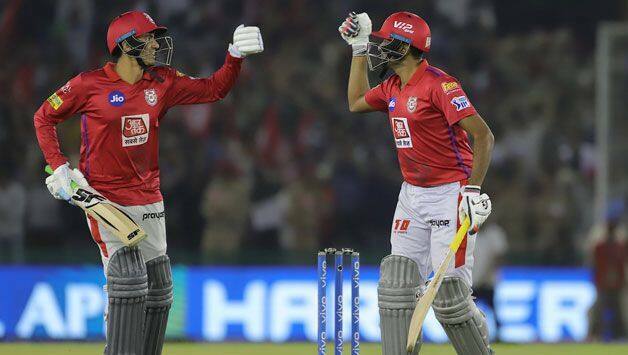 Kings XI Punjab posted a total of 182/6 riding on KL Rahul's 52 off 47 balls and David Miller's 40 off 27 balls against Rajasthan Royals in Match 32 of the IPL 2019 at the Punjab Cricket Association IS Bindra Stadium, Mohali on Tuesday. 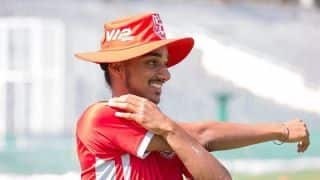 Kings XI Punjab posted a total of 182/6 riding on KL Rahul’s 52 off 47 balls and David Miller’s 40 off 27 balls against Rajasthan Royals in Match 32 of the IPL 2019 at the Punjab Cricket Association IS Bindra Stadium, Mohali on Tuesday. After being put into bat, Punjab were off to a good start with Chris Gayle and Rahul adding 38 runs in 5.4 overs. Gayle hit three sixes and two fours en route to 30 off 22 balls before falling to Jofra Archer, caught behind by Sanju Samson. Rajasthan got back in to the game with quick wickets as Nicolas Pooran (5) and Mandeep Singh fell to Jofra Archer, but a 4-ball 17-run cameo from skipper Ravichandran Ashwin helped Kings XI Punjab to finish well at 182/6. Dhawal Kulkarni’s final over went for 18 runs with Ashwin taking two fours and a six off Kulkarni. Archer finished with good figures of 3/15 in his four overs, while Kulkarni, Unadkat and Sodhi picked one wicket apiece. Both teams made three changes with debuts for pacer Arshdeep Singh (KXIP) and Ashton Turner (RR). Ish Sodhi and Sturat Binny got a game for RR while KXIP got in David Miller and Mujeeb ur Rahman.